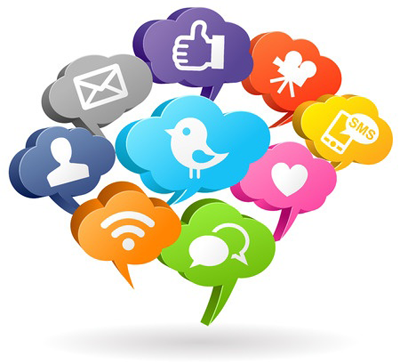 CWD can help you get your social media strategy off the ground and then connect it effectively. Social networks such as Facebook, Linkedin, Twitter and others have become a very important environment in which people interact, exchange information about products, services, movies, music and others. Let us help you take advantage of this tremendous business tool. CWD will use your organization’s social media profiles to connect your objectives to people who care, increase your brand visibility and entice customers to take action. Contact us at 240.401.2873, or via email if you are looking for a way to build your company’s online presence with a proven social media optimization that produces the kind of results that are in line with your overall business objectives. Facebook is the largest single website in the United States garnering all internet visits in the country. Google is number two. Facebook averaged almost 8 new registrations per second in 2010, and is growing. Facebook is a massive social behemoth around the world, but in its home market is has shown particular strength. The website has now grown past its former status as a household name to being the location of a generation. Facebook is the current social network leader, and after going public in 2012, has added a business focus to its original social networking purpose. With tens of millions of users, Facebook is a part of everyday life in the 21st century and offers a worldwide audience for you–almost every business today now markets itself socially with updates on goods and services on its Facebook page. Whether you are on Facebook individually or not, your business must be; otherwise, you are failing to capitalize on the huge marketing and business benefits of social networking. Twitter connects businesses to customers in real-time. Businesses use Twitter to quickly share information with people interested in their products and services, gather real-time market intelligence and feedback, and build relationships with customers, partners and influential people. From brand lift, to CRM, to direct sales, Twitter offers businesses a chance to reach an engaged audience. At the heart of Twitter are small bursts of information called Tweets. Each Tweet is 140 characters in length, but don’t let the small size fool you-you can share a lot with a little space. Connected to each Tweet is a rich details pane that provides additional information, deeper context and embedded media. You can tell your story within your Tweet, or you can think of a Tweet as the headline, and use the details pane to tell the rest with photos, videos and other media content. Whether you tweet 100 times a day or never, you still have access to the voices and information surrounding what interests you. You can contribute, or just listen in and retrieve up to the second information. Some people never tweet, they simply use Twitter as a way to get the latest information on their interests. Instagram is an online mobile photo-sharing, video-sharing and social networking service that enables its users to take pictures and videos, and share them on a variety of social networking platforms, such as Facebook, Twitter, Tumblr and Flickr. Originally, a distinctive feature was that it confined photos to a square shape, similar to Kodak Instamatic and Polaroid images, in contrast to the 4:3 aspect ratio typically used by mobile device cameras. In August 2015, version 7.5 was released, allowing users to post photos captured in any aspect ratio. Users can also apply digital filters to their images. The maximum duration for Instagram videos is 15 seconds. Instagram was created by Kevin Systrom and Mike Krieger, and launched in October 2010 as a free mobile app. The service rapidly gained popularity, with over 100 million active users as of April 2012 and over 300 million as of December 2014. Instagram is distributed through the Apple App Store, Google Play, and Windows Phone Store. Support for the app is available for iPhone, iPad, iPod Touch, and Android handsets, while third-party Instagram apps are available for Blackberry 10 and Nokia-Symbian Devices. The service was acquired by Facebook in April 2012 for approximately US$1 billion in cash and stock. Hand in hand with accessible video production is the even more accessible YouTube. YouTube is the biggest video-sharing site out on the web. A popular video YouTube can get tens of thousands of views or even hundred of thousands. YouTube allows people to easily upload and share video clips on www.youtube.com and across the Internet through websites, mobile devices, blogs and email. Good “viral” is now a good thing when it comes to marketing and sharing ideas, products or services. YouTube allows you and your company to be a part of a worldwide conversation. Let us help you utilize YouTube as another modern business tool that can reach an limited customer base. Contact Carol’s Web Design, Inc. today at 240.401.2873, or via email webmaster@carolswebdesigninc.com to effectively integrate Facebook, Twitter and YouTube on your website. CWD Carol’s Web Design Inc.
Carol's Web Design, Inc. (CWD) is a professional web design company that provides Web Design and Development, Search Engine Optimization (SEO), Social Media, Logo & Branding, Graphic Design, Web Programming, E-Commerce, Cost Efficient Consulting & Independent Contracting Services, Web Hosting and other creative web design solutions in Maryland, Virginia, Washington, DC and throughout the United States.